Oh my, Coachella's been eventful, to say the least, since opening its doors on Friday afternoon. Ask anyone who saw Childish co-headline the opening - they'll readily attest to Gambino performance levels being on par with the Beyonce's and the pregnant Cardi's of the world - and that's exactly where he's positioned in the order of "must see" live performances. As of this moment, Coachella festivalgoers right in the throes of the action. 12 hours ago, they were under a spell enforced by Donald Glover acting as Childish Gambino, an identity that waxes and wanes in heads, every other month. Maybe he would have nixed the "Childish Gambino" moniker somewhere along the line (in 2018) had it not been for "This is America" and the doors it opened for him (musically). During his 2019 Coachella set, Glover jumped into the crowd, performing next to a concert herbalist. Afterward, he previewed new music, premiered his Guava World film project with Rihanna, and took a moment to pay tribute to both Nipsey Hussle and the late Mac Miller - all in a night's work. 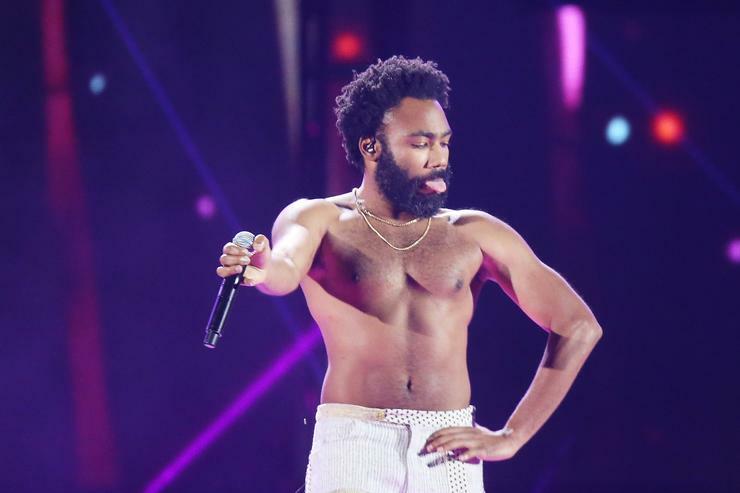 Not to mention, Childish Gambino didn't skip out on any of the fan's favorite songs: "Redbone," "Summertime Magic," "Have Some Love," "Terrified" This Is America," all went got ran through, including a one of a kind cover of Gnarls Barkley's "Crazy."